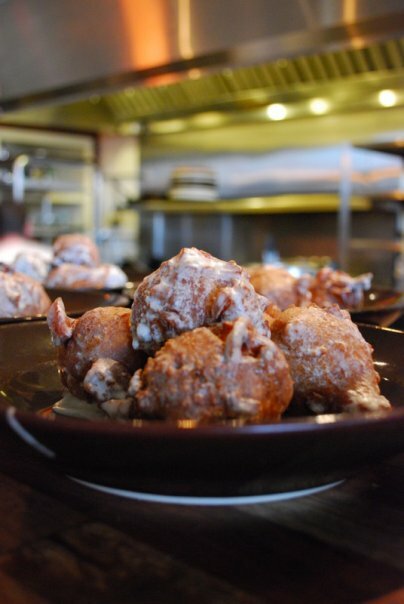 300 apple fritters. 19 frittatas. 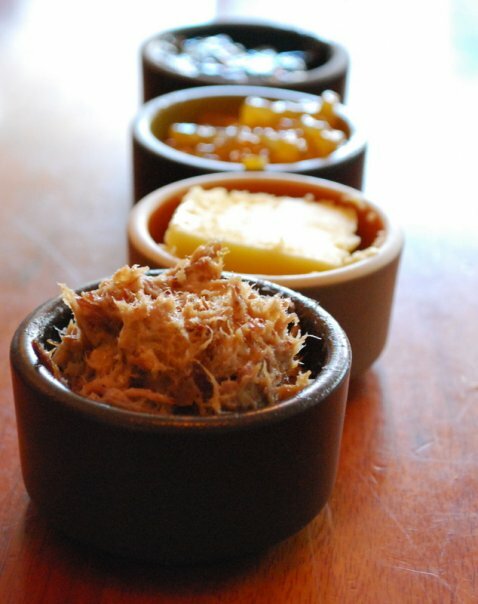 Toast, jam, butter, homemade pork rillette. 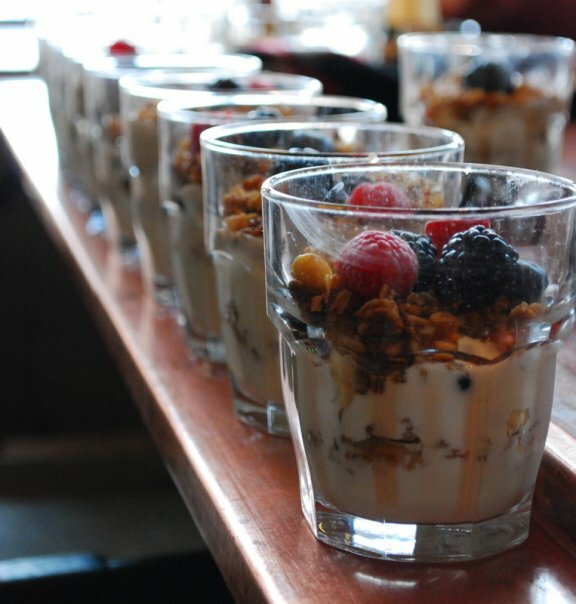 Straus yogurt and granola parfaits with bananas and berries. Espressos and Americanos. 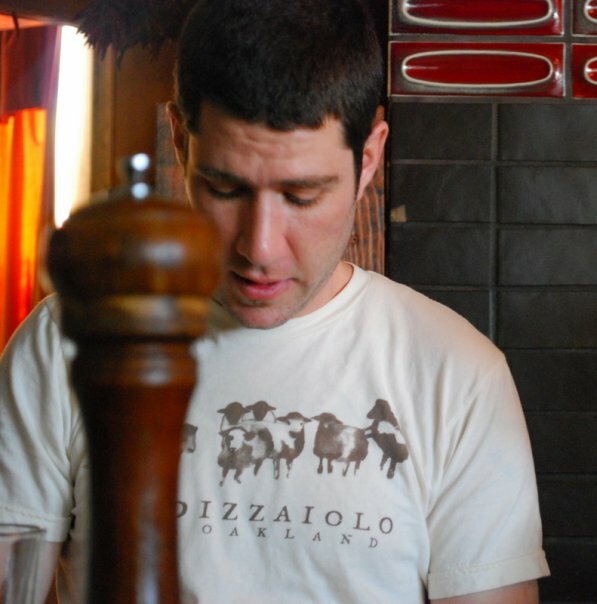 Volunteers arrived early Sunday morning to help prepare for the Sprouts Cooking Club fundraiser brunch held at the trendy Oakland restaurant hot-spot, Pizzaiolo. 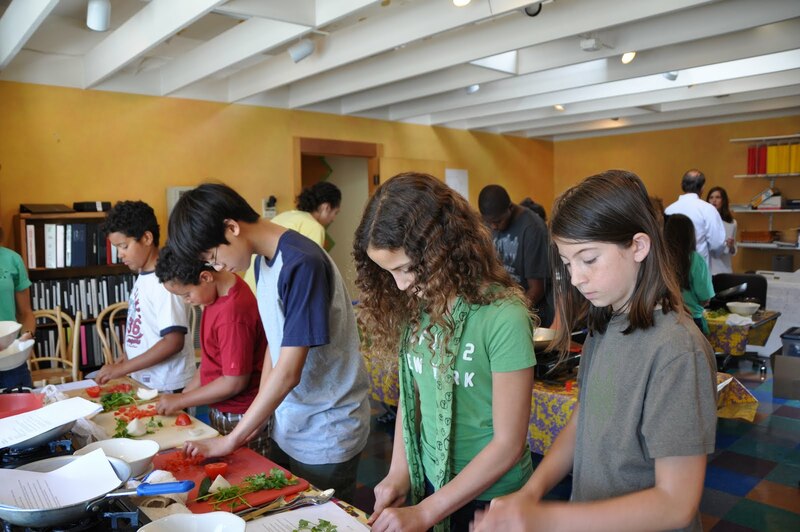 Sprouts Cooking Club is a children’s cooking program located in the Bay Area. The program emphasizes hands-on cooking with local, sustainable ingredients and with chefs from around the area. Donations from Straus Creamery, Whole Foods Market, McLaughlin coffee, Organic Valley Farms, and Alter Eco Fair Trade supply the kids with the ingredients and materials necessary to get their hands busy and their creative juices flowing. These Sprouts go above and beyond in the kitchen—not only are they excited about all of the fresh meals they get to prepare, but they act so maturely and are not afraid to connect with all of the guest chefs, asking questions and experimenting with different textures and flavors! 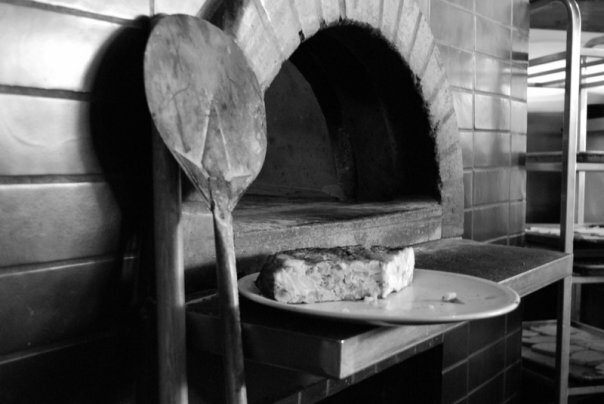 Going into a restaurant and seeing where their food is coming from and how it is prepared is another integral portion of the program. Cooking and enjoying a meal together is a real treat, and in April 2010, some of these lucky kids will have the chance to travel to FRANCE to cook! This trip will provide the kids and their families an opportunity to experience first hand what another country’s culinary and cultural lifestyle entails. 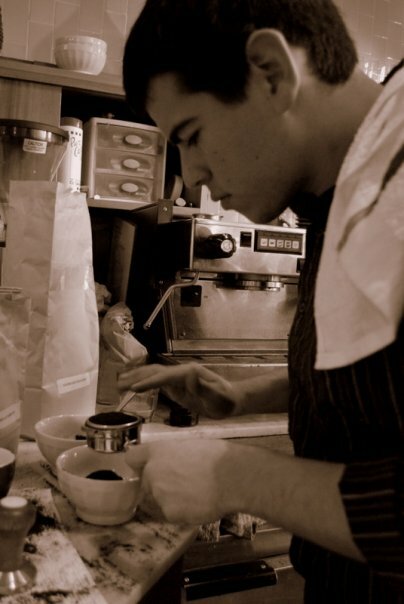 At the fundraiser this past Sunday, we had Jed working the frittatas and overseeing pretty much everything. Jed is actually going to go to France with the kids in April! Tony was manning the coffee. Volunteers from UC Berkeley were all over the dining crowd, directing people to their seats, clearing tables, washing dishes. 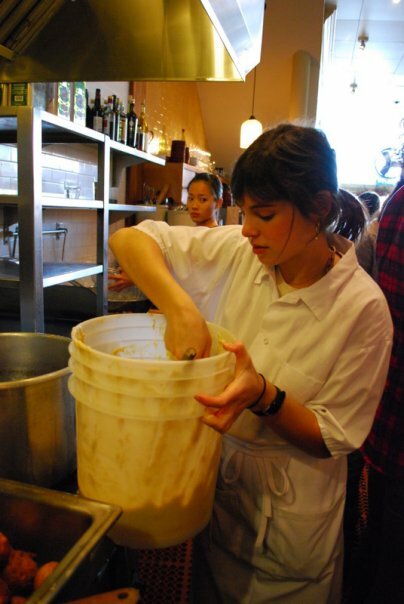 And I was standing over a hot pot of oil, frying up some delicious apple fritters. Dunked in glaze, these fritters were sweet and soft, and the apples gave them a nice bite. 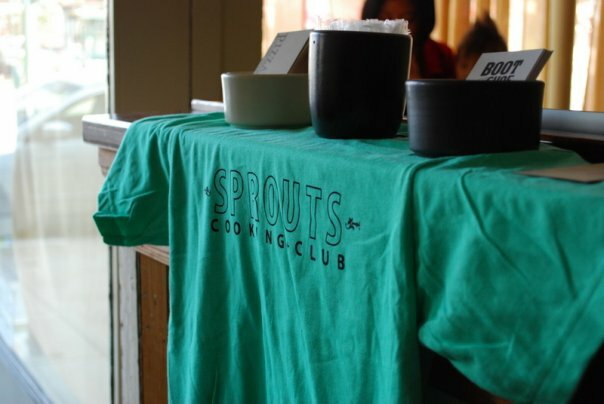 This blogger sums up the exciting story of how Karen Rogers, founder and director of Sprouts Cooking Club, came to start the camp and foster an ever-growing next generation of chefs and food lovers. Hooray for young, budding kid chefs!